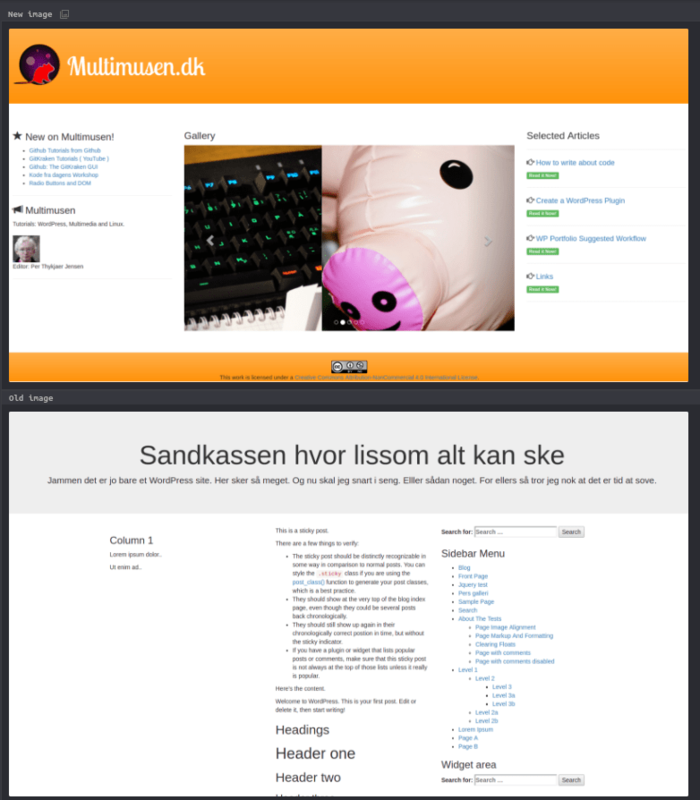 Finished version with costum frontpage (top) and the skeleton boilerplate (bottom). In this tutorial you’ll learn how to create your own version of a skeleton theme. The “Skeleton-F16-Bootstrap” theme for WordPress is a boilerplate, or a place to start, if you want to create a Bootstrap theme from scratch. Or almost scratch that is. The basic files are ready. The top picture is a variant of the theme. The picture on the bottom is what it looks like, if you download the theme as is. In order to get started it’s convenient to have your own version of the code. Create a github profile, if you don’t have one yet. Then navigate to the Skeleton-F16-Bootstrap. On your Github page, you’ll find the fork, that is a copy of the original repository. You’ll be able to edit files and upload your own versions of the files. In this way the repository is a starting point for your new coding adventure. In order to create a fork click on the fork symbol. Here it’s marked with a fancy red circle. When you click the fork symbol a new repository is created on your Github space. You can edit all files as you fancy. Add the forked repository to your Gitkraken (or whatever Github GUI you’re using). It’s often convenient to save the local files in your ../wordpress/wp-content/themes/ folder on your localhost. Edit a file and save it. From this point you’ll be able to create your own markup. If you want to have 6 columns in stead of 3 on large screeen you can fix the Bootstrap / HTML markup. Bootstrap and Jquery will work out of the box. So you can add carousels, accordions and other fancy Bootstrap og Jquery stuff as you please. Since you’re in charge of the markup, you can even create hardcoded menus. You don’t have to do everything in the WordPress way. The costum CSS editor is enabled in the plugin. You can experiment with styles in the editor. As soon as you’re satisfied with the styling, you can add the styles to style.css. Costum CSS: here the text describing an image is changed from centered to left. The font-size is changed too. 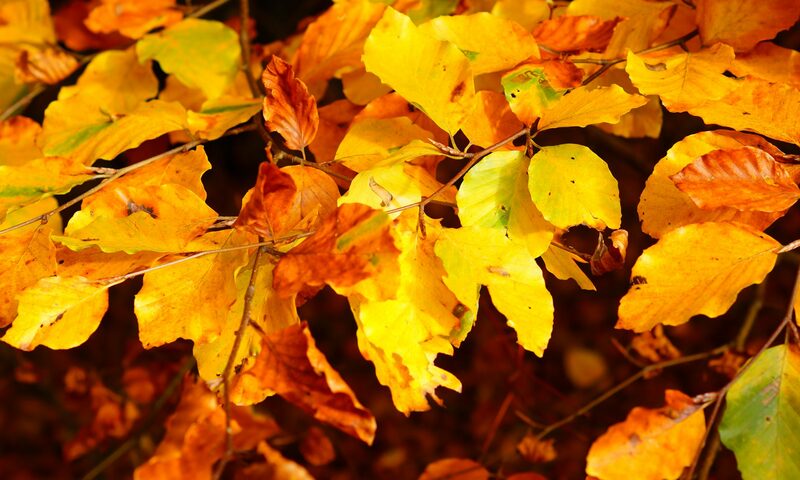 The sample code has several branches. The origin master is the actual skeleton. 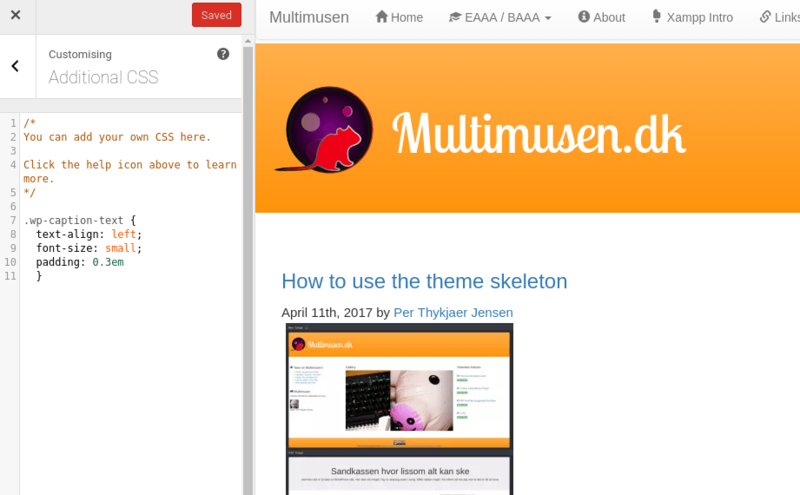 The branch called Multimusen was developed as an implementation of the skeleton for my website Multimusen. Multimusen’s branch has several costum pages, such as pages for categories, or special designed pages like a CV or similar. In this case the CV should stand apart from other pages. The focus should be on the text, so asides such as the sidebar are removed. The markup and PHP for the costum page is found in page-cv.php. I guess that you don’t need a page exactly like this. But if you need one, you can create your own costum templates. Just copy a page template that’s similar. Edit the code, and name the file page-SLUG.php. In WordPress costum files have a name convention. The system is described in detail in the Theme Developer’s handbook. In fact: whatever you’re able to do with markup, you’ll be able to implement in a theme. So you can have a look at the Bootstrap grid tutorials on W3 Schools, and even add a Jquery theme after your own choice. Proceed, and experiment according to your creative vision. So the new verson of WordPress has arrived. With it came a new theme: Twenty Seventeen. It’s an attempt to combine the (perhaps too) popular “one-pager” with WordPress content-managing. The theme has many interesting features. One important addition is the .svg icon theme. These days the SVG format becomes more and more important. Twenty Seventeen may be a proof of concept here. Of course I had to try the theme. The design style is “big image” or even “big video” if you dare to use that option. The theme has improved greatly since the beginning in october 2016. The process began on Github. Here a team from Automattic co-worked with the WordPress open source community. 68 participants or more gave input and suggested code. 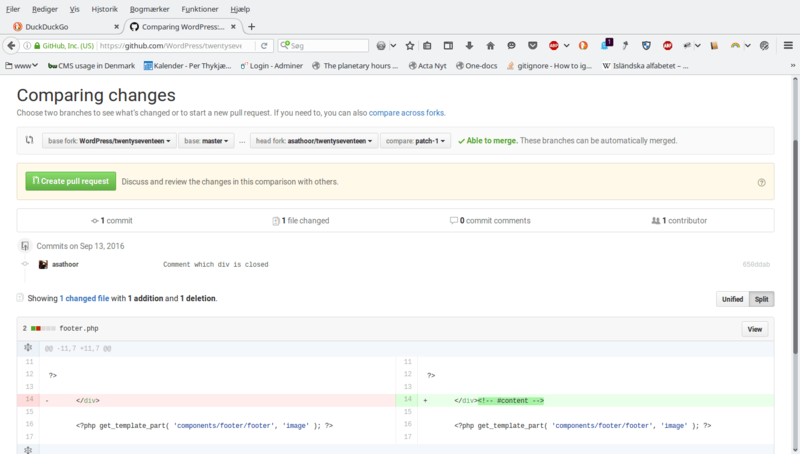 Git proposals of changes. Here a suggestion for commenting is implemented. When the theme was ready for the core it moved to Slack. In the end it was integrated in the wordpress-core code. A web page is dedicated to the development process. Here you can see the mock-ups and follow the general development of the new core theme for WordPress. The image below is one of the “hi-fi mock-ups” that was used during the development of Twenty Seventeen.